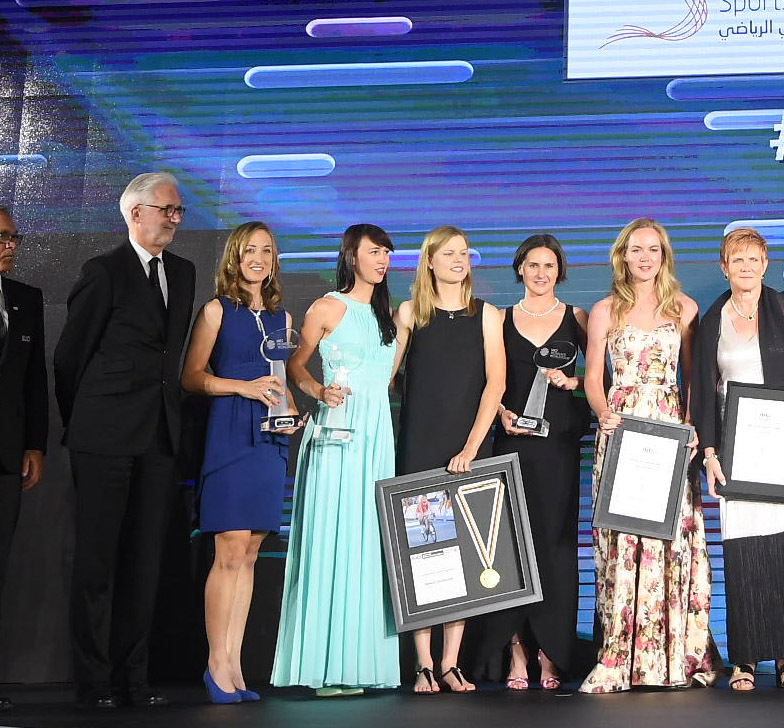 The second edition of the UCI Cycling Gala took place on Tuesday in Abu Dhabi, celebrating this year's greatest achievements in professional road cycling. The newly-crowned Elite UCI Road World Champions Amalie Dideriksen and Peter Sagan were among 24 award winners that included stand-out riders, teams and nations from the UCI WorldTour, the UCI Women's WorldTour, the Olympic Games, Paralympic Games, and the UCI Road World Championships. Canada's Leah Kirchmann, who finished second overall in the Women's WorldTour, was among the attendees. 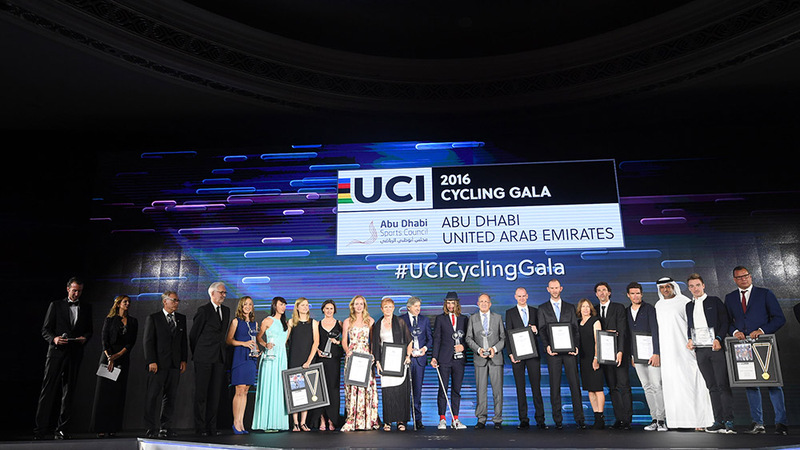 For its second edition, the UCI Cycling Gala - organised by the Abu Dhabi Sports Council and the United Arab Emirates Cycling Federation, in collaboration with RCS Sport - returned to the capital of the United Arab Emirates. It took place two days before the Abu Dhabi Tour (October 20-23), the four-stage professional cycling race that will join the UCI WorldTour in 2017. UCI President Brian Cookson said: "It has been a standout professional road season for both men and women, not least with the Olympic Games, Paralympic Games and the inaugural edition of the UCI Women's WorldTour. The UCI Cycling Gala gives us the opportunity to celebrate the magnificent performances from what has been a memorable season. The festivities take place at an ideal moment in the season, just days after the UCI Road World Championships in Doha, Qatar, which hosted the discipline's first Worlds in the Middle East, and on the eve of the Abu Dhabi Tour." His Excellency Aref Al Awani, Abu Dhabi Sports Council's General Secretary said: "We were honoured to host the UCI Cycling Gala once again and pay tribute to the incredible performances of male and female road cyclists. It was a fantastic celebration of this year's road cycling season. With three major cycling events in the same week in the Middle East, we are very much looking forward to Abu Dhabi being in the global cycling and sporting spotlight." • Rio 2016 Paralympic Champion in the Men's H5 Time Trial and Mixed Team Relay H2-5 - Alessandro Zanardi (ITA).